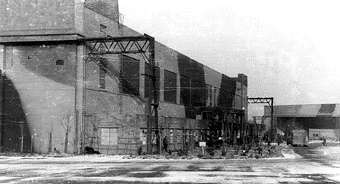 The Station opened 12th March 1937. 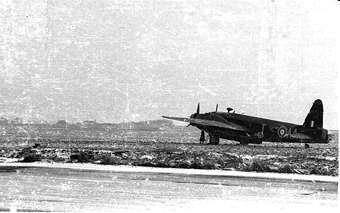 Lancasters of No. 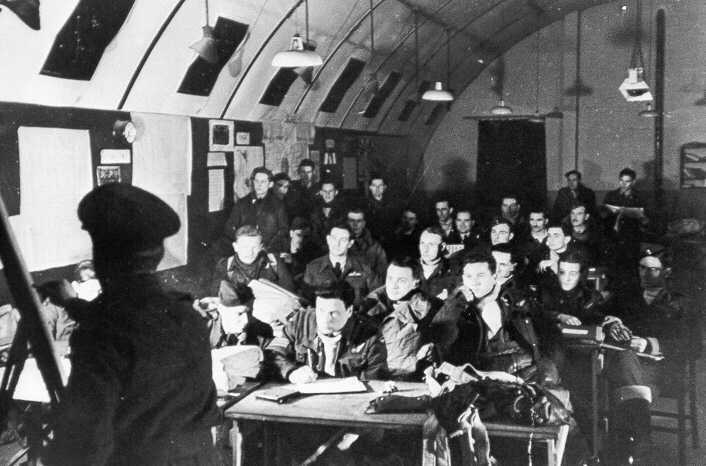 3 Lancaster Finishing School in December 1944. 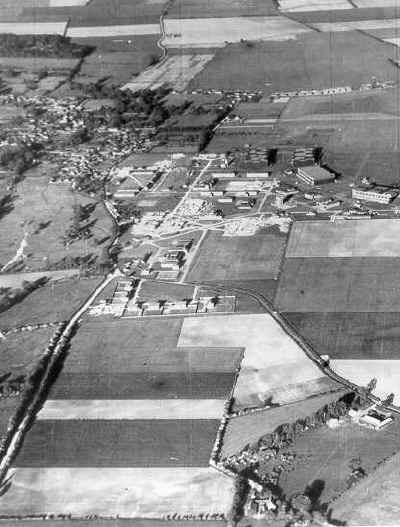 This photo from 1941 shows one of Feltwell's 2 camouflaged hangers. These can be seen in the aerial photos below. 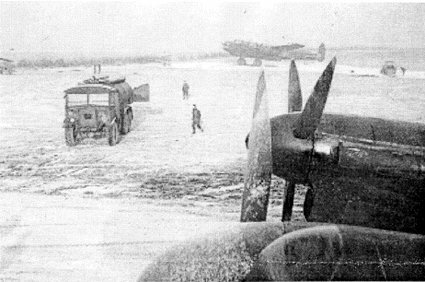 The tail unit of a Wellington Bomber. Not the result of a crash but of an explosion. Read about it here. The Wellingtons were christened "Wimpys" after a cartoon character. 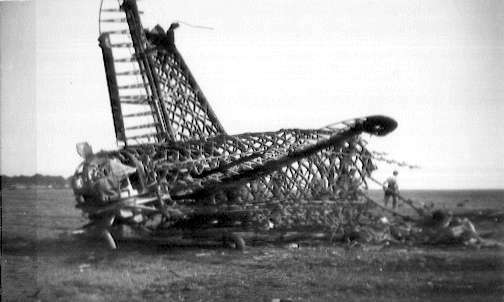 Note - the criss-cross (Geodetic) construction of the fuselage, a strengthening feature peculiar to the Wellington and designed by Prof. Barnes Wallis. 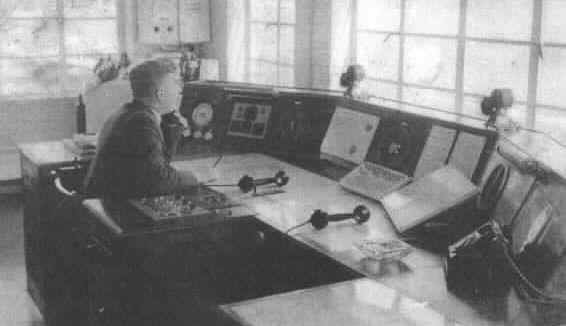 Left - Inside the Air Traffic Control Tower. 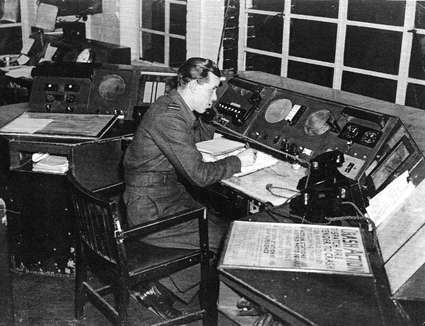 Flight Lieutenant H. J. Lawson at the console which came from RAF South Cerney in bits and pieces and which he rebuilt. 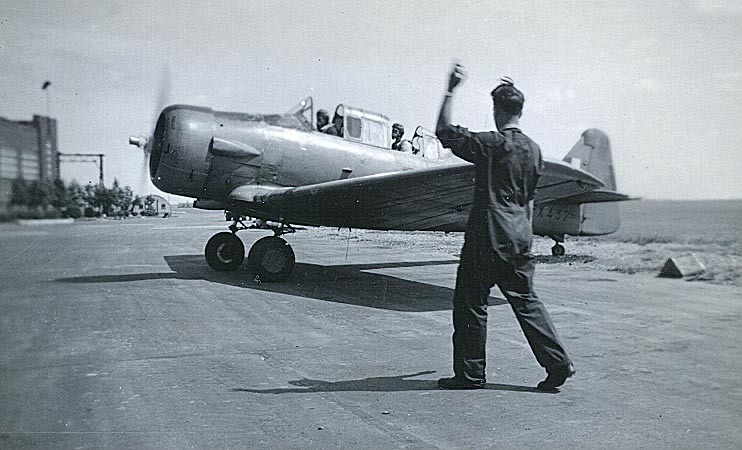 Photo from Derek Routen who spent 18 months during 1948-9 in Block 33, 3 FTS Repair & Maintenance section, HQ Flight. 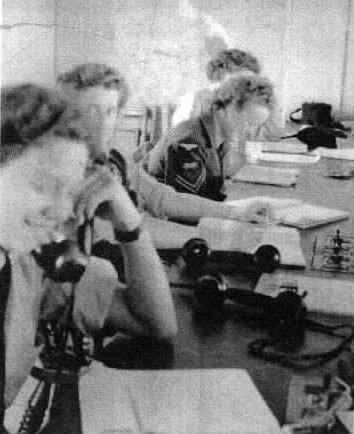 The C.O. 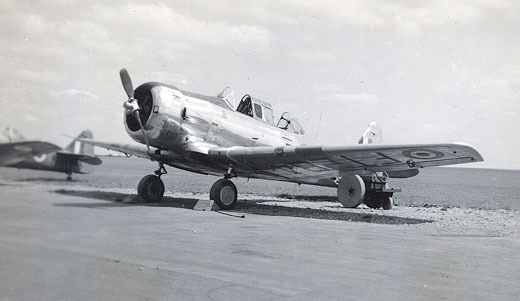 's Harvard which had been stripped of its yellow trainer paint and polished with 'Brasso'. All by hand! The 4 photos below have waited so long to get onto this page that I've lost the details regarding their source! Help would be appreciated in this matter. 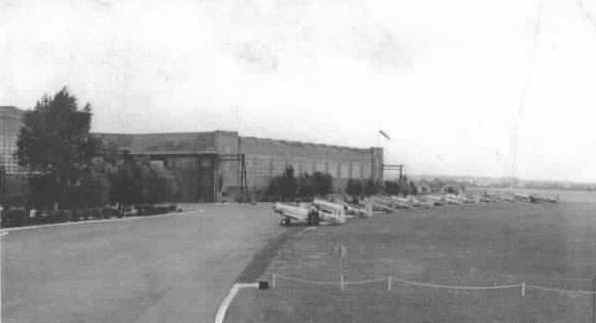 Probably taken several years later than the Harrow photo above - note the tree growth outside #2 hanger. 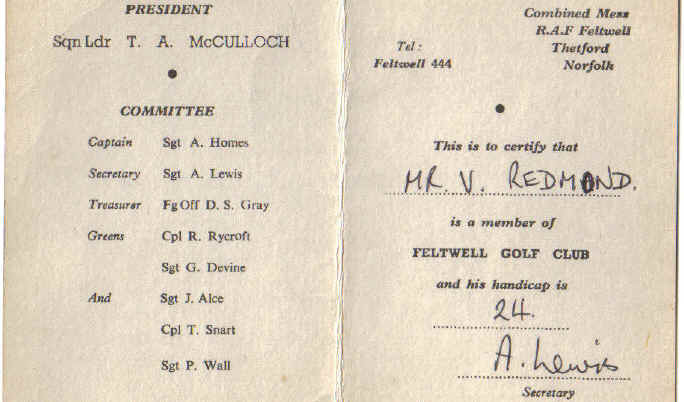 From Vic Redmond The photographs below were found at RAF Lakenheath. 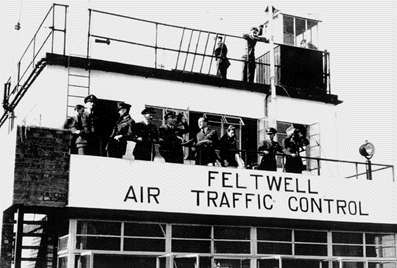 In many cases nothing is known about them other than the fact that they were taken at Feltwell, we think. 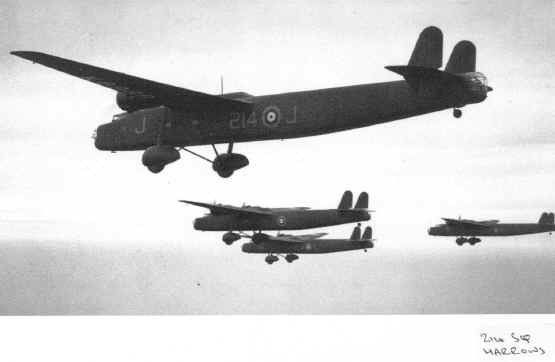 JR - John Reid Stirling Bomber Research Library and Photographic Archive. 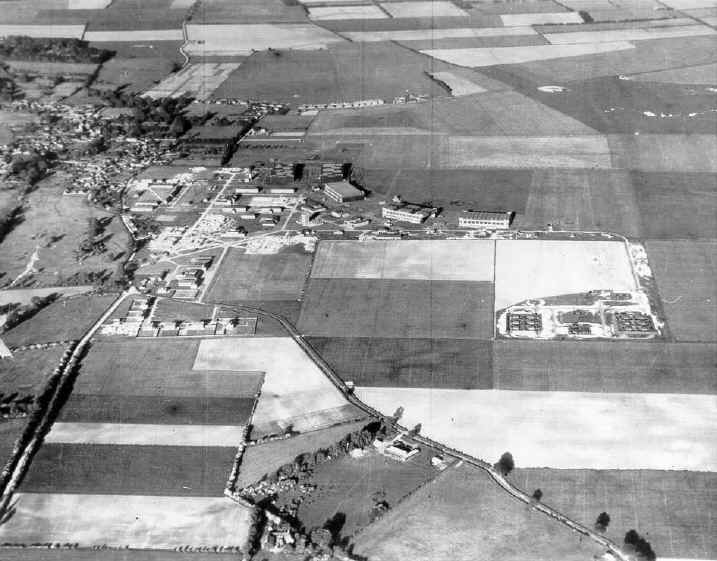 Harrows in flight from Michael J F Bowyer This is a Handley Page Heyford at Feltwell circa 1937/38. 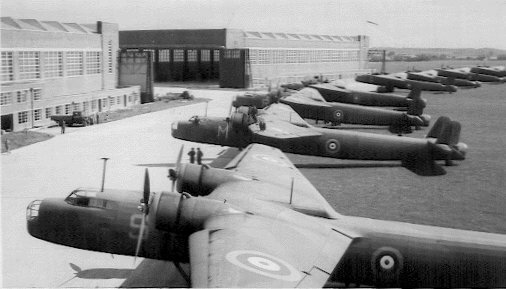 The aircraft in the background are Handley Page Harrows which were resident here at the time. 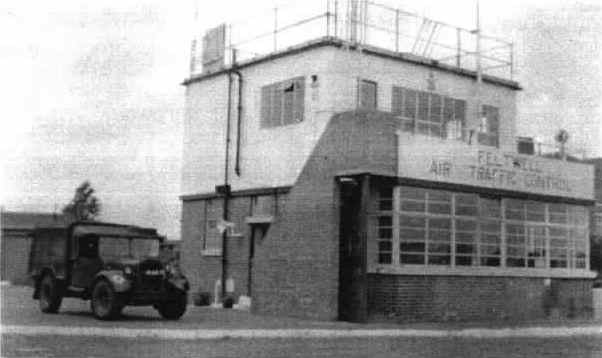 The Heyford must have been on a visit as they went out of service soon after this picture was taken .